How recycling works is a good question. The process is something that many of us take for granted. You toss something into the appropriate bin, dust off your hands and go happily on your way with the comforting thought that you’ve done your bit to help save the planet. 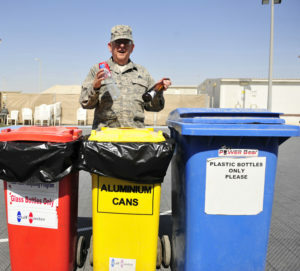 Even so, the knowledge of how recycling works is not a process that most people are familiar with. The basic understanding that your trash can become the building block for another product is common knowledge, but the process is often unfamiliar to most of us. 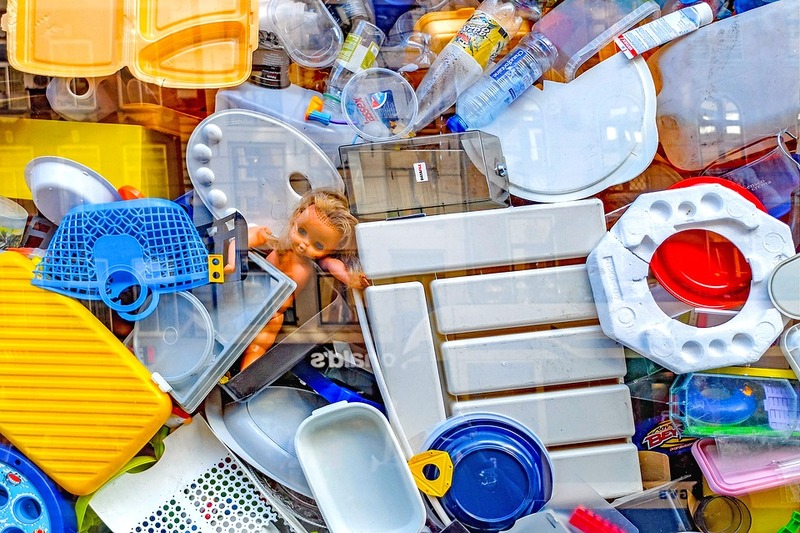 Waste recycling began in 1973 and for the past several decades the process of collecting, separating and manufacturing materials like plastic, glass, paper and metals into new products has vastly improved. Today, the process begins when your trash is collected and taken to a materials recycling facility. There are two variations of these: single stream and dual stream. The dual system separates paper on the one hand and everything else on the other. Single stream materials are not separated by curbside bins. They are collected en masse and separated later on a technically sophisticated conveyor belt. Items like computer parts or light bulbs currently cannot be recycled and are trashed or taken to a specialized facility. But plastic, glass, steel, aluminum, paper and cardboard can all be separated with single stream technology. Each of these materials are automatically rolled down the belt separated the paper and cardboard from the heavier materials first. Workers do the final cleanup of the paper and cardboard by hand, separating any foreign objects that may have become enmeshed in the process. The paper and cardboard waste is compacted, baled and transported to a mill where it is washed. The resulting pulp washed again to eliminate and further residue and then sent to de-inker which eliminates the ink. The clean paper can now be used to manufacture new products like newspapers, books and magazines. The steel in the single stream process is separated by a cross-belt magnet. It is then crushed and baled and shipped to foundries where it is melted down and ultimately mixed with news steel to make cans, cars, bicycles, train tracks, etc. Plastics and aluminum are separated by an ‘air classifier’ which moves these materials to a higher belt in the stream. Glass, at the same time, is automatically directed to a lower belt. The glass goes through a crusher that produces small pieces (no larger than 5 cm) which are now separated by color – clear, brown and green. This color separation is essentially because colors cannot be removed from glass and light sensitivity qualities are important in the creation of new products. Aluminum is separated on the conveyor belt by a eddy current separator. While aluminum is not magnetic, this separator can infuse aluminum with magnetic qualities that guide the material to another belt, separating it from any other materials that have not as yet been sorted. The aluminum is shredded, washed and turned into chips which are melted in a large furnace and poured into molds. These molds are sent to manufacturers where they are melted again and rolled into thin sheets that can be used to form products like license plates and aluminum foil. The remaining material is plastic, a category that can include PET (polyethylene terephthalate), HDPE (high-density polyethylene), LDPE (low-density polyethylene), PP (polypropylene), PVC (polyvinyl chloride) and PS (polystyrene). Some of these plastics are easier to recycle than others. These are usually sorted by hand, but in the most modern materials recycling centers there are infrared sensors that can identify the plastics based on the spectrum of light they reflect. And a stream of air sends each type to its designated conveyor belt. Some materials, like EPS (Expanded Polystyrene), is usually trashed because its light weight makes it worth less than the cost to transport the material. Most others, however, once separated, can be made into a multitude of products – from clothing and carpets to car batteries and furniture. You might also be interested in discovering how recycling works by reading Polypropylene Plastic: Piping To Thermal Underwear and Roads Made Of Recycled Plastics Is The Future.